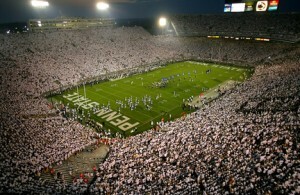 Penn State has released their 2011 party schools, and yes, Penn State University is ranked #2. Here’s a story about it done by: NBC Philadelphia, CLICK HERE! Apparently the lively music scene helped out this year, and after looking at all the big artists that came through this fall and spring, how can’t you agree.